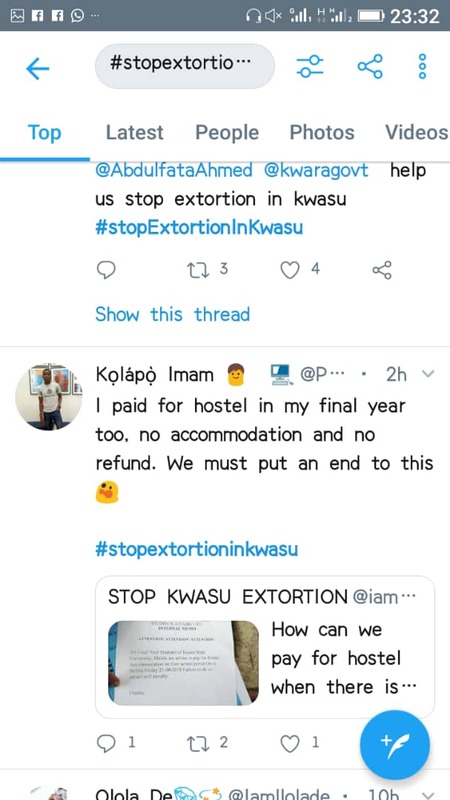 The students of Kwara State University have a reached their boiling point after consistent and dogged extortion of money by the school authorities. It is so saddening that the so-called World Class University is a nightmare for its students. 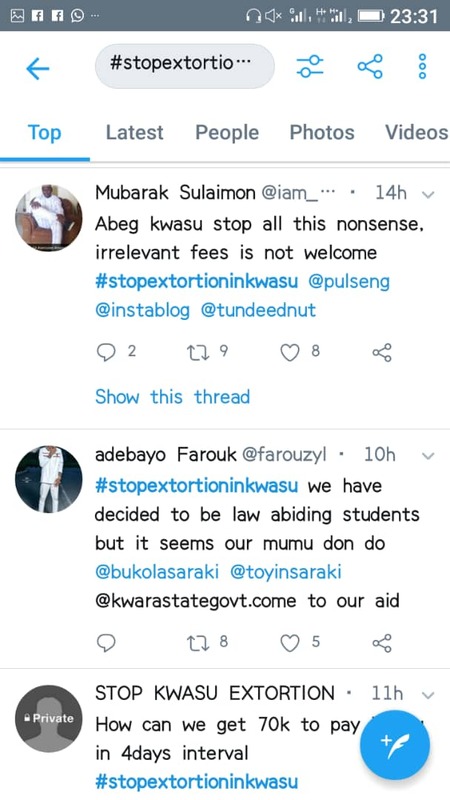 Kwara State University has been for a while now, extorting its students in a way that nobody dares complain consecutively for three years nows, the school has been adding minor fees, which students don’t see the essenc, on the school portal. These fees are still paid by students who still suffer from the bad Administration of the school. 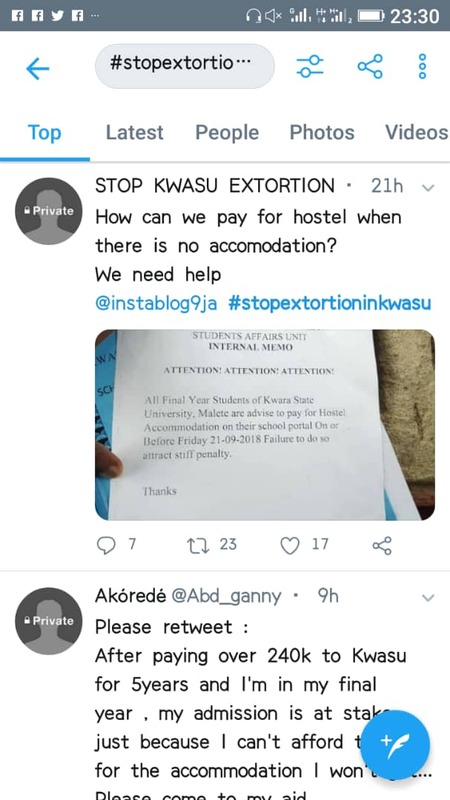 now, the nightmare has gotten to it’s peak as final year students, who according to the school tradition can opt for hostel exemption, are forced to pay for hoatel a which are not available. At the beginning of the 2018/19 academic session the school developed a new portal and student’s had to register themselves again on that portal! 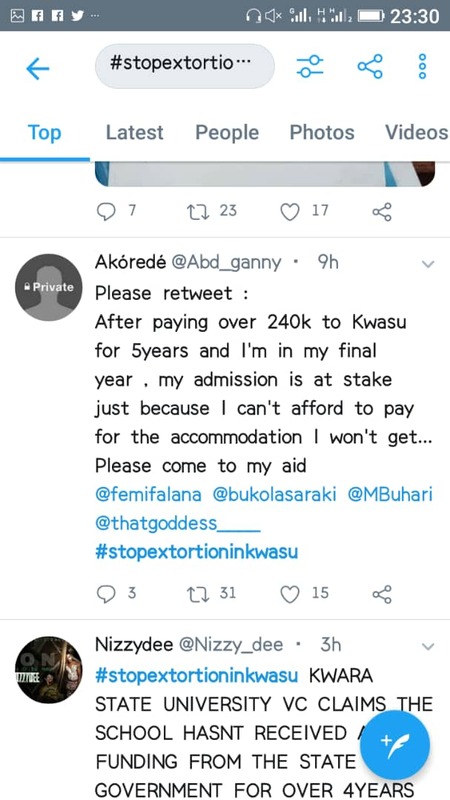 Isn’t Kwasu a World Class University?New fees including Gymnasium later turned Fitness fee, E learning fee, Community Development Fee, among many others that are department based, were added to the so-called school fees. These fees are made made compulsory but if this is put to rational thinking, is it everybody that goes to the gym? What E-learning methods at the peak the school brought to service of what use is the community Development fee when the school Community- Malete is under Developed while students paid all these fees. Because they have no choice. Now the biggest fraud of an academic institution is that students paid for hostels on their portal and these same hostels can’t contain all the students. 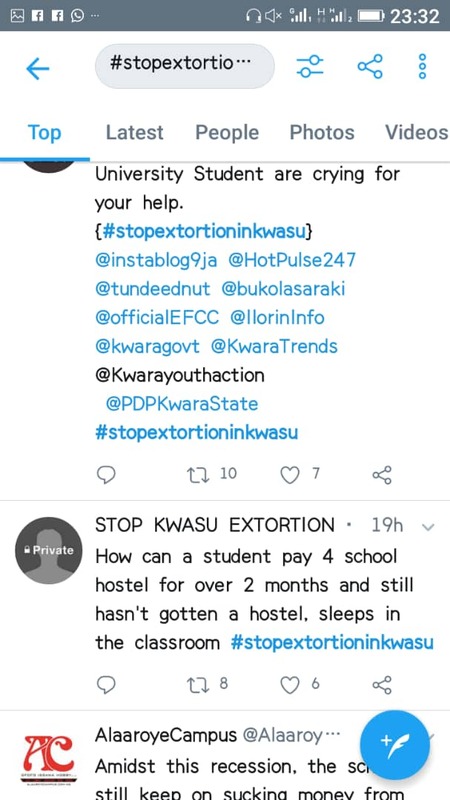 A lot of people have cried out that they paid for hostels of 80 thousand Naira but are allocated to hostels worth below that. Isn’t that a fraud?? Recently a memo was passed that all final year students must pay for hostels within a week. These hostels are virtually not available but student’s still have to pay for it on their portal, go for clearance which takes forever, if they don’t want to lose their studentship. Is this Normal? 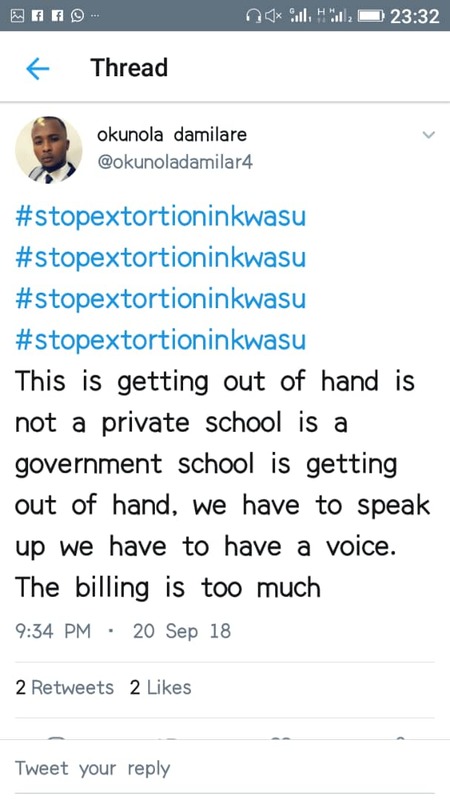 After Paying Outrageous School fees? These hostel don’t even have enough facilities. Private hostels are even better than off campus school hostels in all areas not even at the moment wherex hostels meant for 2 bed spaces have been converted to 4 . Yet, Students are Silenced; they fear they might lose their studentship. Students are now Frustrated to the point of Crying out loud to the public to help their Souls …. 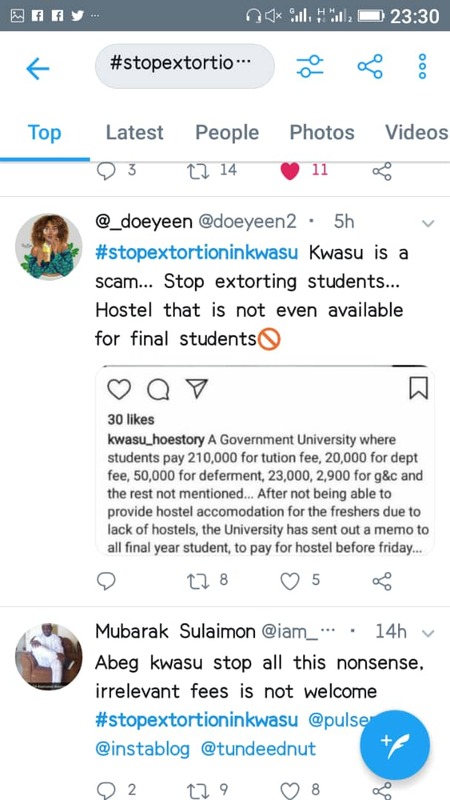 Kwasu has been extorting them silently while the public think the School is a World Class University..